Another day, another direct-to-video thriller! Today we take a look at 2018’s Backtrace. When a robbery goes awry, only one of the criminals survives. However, Donovan Macdonald (Matthew Modine) suffers a brain injury that causes amnesia. Placed into a prison psychiatric ward, Madonald remains there for many years, but he eventually gets busted out after a fellow inmate (Ryan Guzman) and an unscrupulous doctor (Meadow Williams) administer a dangerous drug intended to restore his memories. This should allow Macdonald to find the money lost in the heist, but he needs to deal with the drug’s side effects and the pursuit of dogged detective Sykes (Sylvester Stallone). As direct-to-video fare goes, that actually doesn’t sound like a bad premise. Granted, it feels like 99 percent of these flicks revolve around robberies gone wrong, but at least the amnesia side of things adds a little creativity. Unfortunately, Backtrace squanders its clever twists. It pursues its story in such a relentlessly hamfisted manner that it fails to become anything even vaguely intriguing. In particular, photography and music make Backtrace tough to swallow. We get a camera that constantly bobs, weaves and shuffles, a style that creates an image that feels herky-jerky and annoying. Tim Jones’ score becomes another intrusion. His music covers nearly every moment of the film, and it does so in an invasive manner that doesn’t allow the movie a moment’s rest. 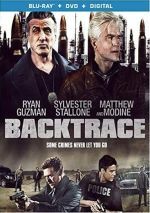 With Stallone, Modine and Christopher McDonald on-board, Backtrace enjoys some talent in front of the camera, but they fail to add much. Stallone sleepwalks through his part, and McDonald allows his massive mustache to carry the load for him. Modine manages to escape with his dignity intact, at least. While I can’t claim he provides a strong performance, Modine does manage a little range and emotion as the lead. Unfortunately, Modine works in service of a messy, largely incoherent tale that lacks real forward momentum. Backtrace enjoys a smidgen of dramatic potential but it never manages to offer anything exciting or engaging. Backtrace appears in an aspect ratio of approximately 1.85:1 on this Blu-ray Disc. Across the board, the transfer looked mostly good. In terms of palette, Backtrace tended toward a heavy feel of teal, yellow or green. The colors veered a bit heavy but seemed positive most of the time. In addition, blacks were dark and tight, while low-light shots were decent; some could be a bit dense, but they weren’t bad. This was a largely pleasing presentation. Among extras, we get a featurette called Making of Backtrace. It runs five minutes, 58 seconds and offers info from director Bruce A. Miller and actors Christopher McDonald, Ryan Guzman and Colin Egglesfield. “Making” examines story/characters, cast and performances, sets and locations. Very little substance emerges in this promo piece. We also get a collection of Cast/Crew Interviews. Here we locate chats with Miller (5:30), McDonald (4:49), Guzman (3:51) and Egglesfield (6:37). Across these clips, we get notes about story/characters, cast and performances, sets and locations, and Miller’s work as director. These interviews come from the same sessions used for “Making”, and literally the same shots repeat, so there’s no reason to watch “Making” if you also screen this compilation. This also means we don’t learn a ton from the interviews, as they remain pretty superficial. Still, they offer a few decent nuggets and become more informative than the featurette. 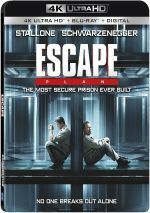 The disc opens with ads for Reprisal, Escape Plan 2: Hades, Bleeding Steel and Acts of Violence. We also get the trailer for Backtrace. A second disc provides a DVD copy of Backtrace. It includes the same extras as the Blu-ray. Remarkably, Backtrace credits a whopping 25 producers. That becomes the only noteworthy aspect of the film, unfortunately, as we get a scattered, inert stab at a thriller. The Blu-ray brings generally good picture and audio along with minor supplements. Even by the low standards of direct-to-video fare, Backtrace feels forgettable.